Last year, the town Symphony Suites belongs to - Yishun, had a great expectation of over-turn from a “so-called ulu” into vibrant, perspective hub with forward-looking developments on track to the completion such as : Singapore’s first Community Club in a shopping mall, Northpoint Shopping Centre, The Canberra MRT station. In recent months, The Land Transport Authority (LTA) has launched two strategic traffic- projects in Yishun, including The Extension of Bus Service 103 and of the interchange connecting the Central Expressway (CTE), Seletar Expressway (SLE) and Tampines Expressway (TPE) with Seletar West Link. Symphony Suites’ residents are in hope of the more accessibility to the destination with less time. 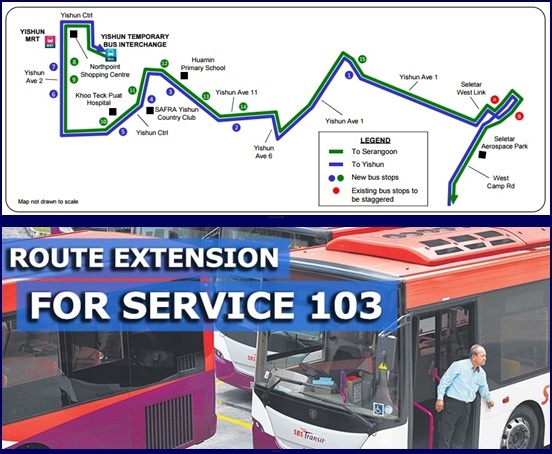 Symphony Suites’commuters will enjoy the time savings up to of some minutes due to the fact that Bus service 103 will extend to Yishun Bus Interchange and take effect from June 14, the service will pass by Safra Yishun Country Club and Khoo Teck Puat Hospital. Additionally, motorists in Symphony Suites Condo are also willing to find themselves on the faster and glabrous ride once plan for foresaid Expressways is deployed. Four new flyovers and five new road connections is full preview of this.